Very fast VDSL, vectoring and virtual unbundling: the next superfast broadband compromise? How much do governments want superfast broadband? Pretty badly, it would seem. Barely a week goes by without a politician or regulator warning that next-generation access (NGA) networks will be essential to their country’s social and economic health. But recent developments in NGA technologies should give them pause for thought about what they are willing to sacrifice in order to reach their goals. At present, the world’s politicos seem to be engaged in a contest to make the most hyperbolic claims about the importance of superfast broadband. In May, Neelie Kroes, the European Commissioner for all things digital, said that at least half of the European Union’s citizens must be subscribed to 100Mbps-plus services by 2020 – apparently whether they demand them or not. Perhaps unwilling to see the UK outdone by its continental neighbors, the country’s culture secretary, Jeremy Hunt, proclaimed that in June it was his goal to provide Britain with the “best superfast broadband network in Europe.” And this month, the chairman of Italy’s telecoms regulator reportedly told the country’s parliament that investment in broadband might be a successful “exit strategy” from one of Italy’s worst recessions in recent years. These speeches have been pretty light on how exactly NGA networks will achieve such lofty aims. After all, the only thing the industry seems certain about is that superfast broadband will lead people to use the Internet in much the same ways they do today – to listen to music, watch movies, make video calls, etc. – but at the same time and in higher definition. But policymakers are convinced that new society-enhancing and revenue-driving applications will emerge, and so have focused on making sure the underlying networks appear in their countries sooner rather than later. Inevitably, convincing the players with the most cash – the former state-owned monopoly telecoms operators – is key. Unfortunately, the motives of these so-called incumbents are not necessarily aligned with those of governments. They have a more pressing need to roll out NGA than to create a vague “ecosystem” to foster the evolution of all manner of cloud, Web 3.0 and other buzzword-based services: competition from cable. The hybrid fiber/coaxial structure of cable access networks has allowed operators to upgrade to offer superfast speeds quickly and at relatively low cost. Unsurprisingly, the incumbents want to be able to do more or less the same to their infrastructure. But the technology choices of some have not sat well with policymakers. Many incumbents have chosen to replace the copper between the local telephone exchange and street cabinet with fiber while upgrading the final few hundred meters of copper to support VDSL. This is a much cheaper and faster way to offer superfast speeds than laying fiber direct to the home or building (FTTH/B), they say. As a result, our latest forecasts – based on extensive historical data and interviews with operators – suggest that VDSL networks will account for a sizable number of broadband subscriptions: some 62.8 million by the end of 2015, in fact. But some policymakers accuse the incumbents of being shortsighted. VDSL can’t support the speeds their nations will need to compete even in the medium term, which might run to hundreds, rather than tens, of megabits per second. 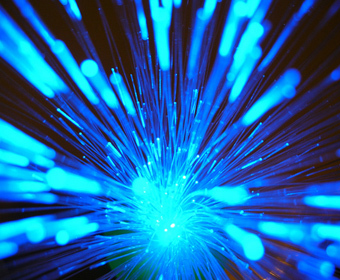 Only FTTH/B connections will prove future-proof enough, they say, and countries such as the US, Japan and South Korea already have them in abundance. Policymakers also have a problem with the challenges VDSL networks pose to competition. Many alternative operators compete via price and new features by installing their own equipment on incumbents’ DSL networks, a process known as local-loop unbundling. Networks based on a point-to-point FTTH/B architecture offer a similar opportunity but are generally held by incumbents to cost an order of magnitude more to roll out than ones based on fiber-to-the-cabinet and VDSL. Their technology of choice can in theory be unbundled, but in reality few alternative operators might be able to afford to do so. Ultimately, policymakers have had to compromise. Politicians have accepted that pressuring incumbents to commit to a more expensive technology could discourage them from investing in NGA at all, while regulators have devised ways around the unbundling problem. But certain developments might provide some comfort to the superfast-obsessed. Vendors have been lab testing an array of technologies that promise to enable operators to offer FTTH/B-like speeds over their VDSL networks, using techniques known as vectoring, line bonding and phantom mode. And industry sources suggest that operators are coming close to achieving such gains in field trials. Although all three techniques can be used in combination, vectoring holds the most promise for boosting superfast speeds in the residential market. Line bonding and phantom mode require the use of two of more phone lines, which few homes outside of the US have. As such, these technologies might prove more useful in providing connections to businesses or mobile phone base stations. But if regulators allow the use of vectoring, they must also accept another compromise. Vectoring requires an operator to be in full control of the group, or “binder,” of lines it wants to affect. If another operator has unbundled one or more lines in that binder, vectoring the rest will not produce meaningful gains in speeds, vendors say. This presents a dilemma to policymakers. Although it might be impractical to unbundle a standard FTTC/VDSL network, it is not impossible. Regulators can still oblige incumbents to offer the option, should any alternative operator want it. But such rules could discourage an incumbent from investing in vectoring, preventing consumers from accessing the higher speeds the technology promises. And if policymakers believe their own claims about the benefits of superfast broadband, it could affect their own nations’ health and competitive positions. Our forecasts suggest that Germany, the UK and Spain in particular will be heavily reliant on VDSL to deliver superfast speeds. So will China and US, but neither is likely to be encumbered by NGA-unbundling regulation. One option for regulators is to promote “virtual unbundling.” This approach, pioneered by the UK’s Ofcom and BT’s Openreach network division, is intended to offer alternative operators most of the features unbundling does, without the need to install their own equipment on the incumbent’s network. In theory, this could enable the incumbent and alternative operators to offer vectored services over lines in the same binder. But the most straightforward answer for incumbents might be to just roll out vectoring regardless. They’ve already proven that they can make regulators buckle by committing to other technologies that are technically difficult to unbundle, such as GPON-based FTTH/B networks. Swisscom is considering rolling out vectoring, despite the existence of Swiss unbundling regulation, arguing that none if its competitors is likely to use it. But Swisscom is lucky. Unbundling in general is not a major competitive force in Switzerland, accounting for less than 6% of broadband connections at the end of last year. Plus, Switzerland’s not in the European Union. Although it tends to follow the EU’s lead in terms of regulation, the European Commission might take too hard a line on NGA for Switzerland’s regulator. In June, the EC issued statements accepting proposals by the UK’s and Austria’s regulators to oblige their incumbents to offer virtual unbundling of their NGA networks, but insisting that they must impose full unbundling “as soon as technically and economically possible.” Observers expect the wording of the statements to be mirrored in the EC’s forthcoming recommendation on NGA regulation, due to be published this fall. In the meantime, policymakers should consider how willing they are to trade competition for NGA networks. Today’s virtual unbundling services are some way from replicating all the features “real” ones offer, and questions remain about whether they will allow alternative operators enough flexibility to compete on price. Ultimately, if governments want more speed, less haste is advised. Thanks Rob for a well written and knowledgeable article. I have some follow up questions regarding the EU’s regulations. 1. What is the latest EU regulation, is “EC No 2887/2000 – Regulation of the European Parliament and of the Council on unbundled access to the local loop – Brussels, 5 December 2000″ still valid? 2. The 2887/2000 regulation states unbundling of the local loop from the central office and also the sub-loop from the street cabinet. ULL in the central office is a good and practical solution, but I have some questions regarding the unbundling in the street cabinet. a. Is it practicable to have a DSLAM collocation is a rather small local street cabinet for the sub-loop unbundling? The 2887/2000 regulation also states that the ILEC (incumbent) doesn’t have to install a new network infrastructure (street cabinet) for accommodating CLEC (competitive). b.	Bitstream unbundling where the incumbent operates the DSLAM seems a more feasible solution for the street cabinet. c.	What is the EU regulation regarding sub-loop unbundling from the street cabinet? d.	Does the EU regulation allow an CLEC to transmit VDSL2 from the central office, while the ILEC transmits VDSL2 from the street cabinet, and both of them are using the same copper cable?